Is your upcoming conference or business meeting in Shanghai? Are you heading overseas to meet your Chinese partners? During your trip, you’re going to need a Mandarin Chinese-English Shanghai interpreter or Chinese translator to aid you to overcome the extensive language and cultural barrier during your time in China. Fill out a free request for a quote on my Chinese-English interpreter services in Shanghai on the right side of this page. As a professional and experienced Shanghai interpreter, I know that it is a daunting challenge for visitors, but I am here to assist you and make your stay and business more comfortable. 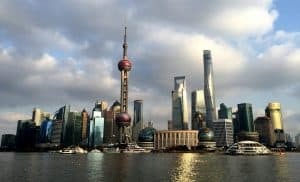 As I am also a professional and qualified tour guide in the city of Shanghai, I can also help you with maneuvering the cultural differences that most are not familiar with when they visit not only Shanghai, but also throughout the entire country of China. I can accompany you to conferences, meetings, or any other event where you will need a Chinese to English translator. To give you a bit of my background in the interpreter services industry, I have traveled to wholesale markets, exhibitions, factories, and many other types of locations with my clients over the years. Allow me to bridge the communications gap that many face when they have partners, coworkers and events in China. In addition, I also translate written material, whether it be emails, websites and other forms of documents. Don’t allow the language barrier to stop you from doing business with Shanghai as I am happy to help you with all verbal and printed texts to translate as your Shanghai interpreter. As China’s financial core and largest city in the country, Shanghai serves the average visitor with both fascination and a slew of colorful experiences during both day and night. The Bund, Shanghai Museum, Disneyland Park, Huangpu river, Jade Buddha Temple, World Financial Center, French Concession, Oriental Pearl Tower, Yu Garden, People’s Square. To hire a Shanghai interpreter just fill out the form on this page to request a free quote.